The Mosque El Mansour or Mosque of the Golden Apples is one out of three main mosques in Marrakech and the largest mosque in the Kasbah area. 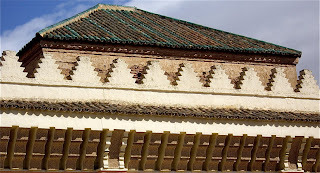 Mosque el Mansour was built by and named after Abu Yusuf Ya'qub al-Mansur the third Almohad Amir that reigned from 1184 until his death in 1199. 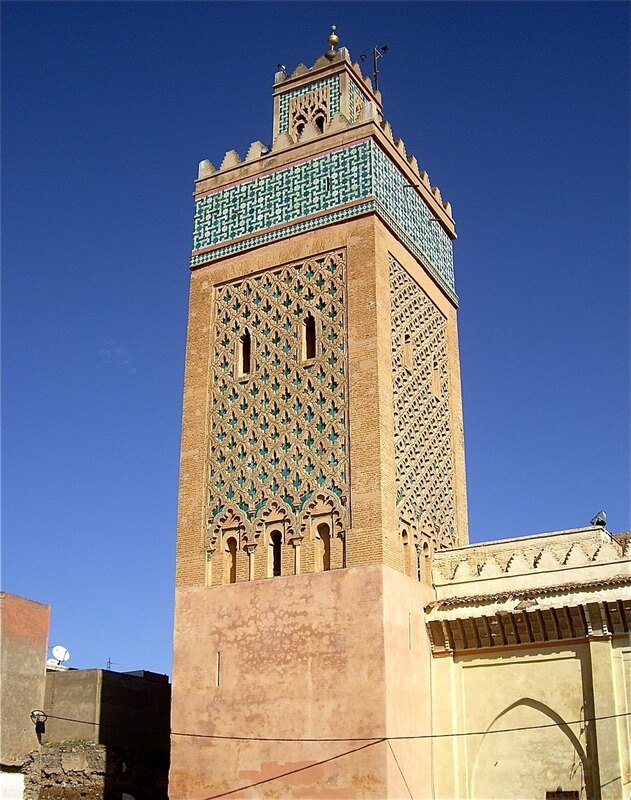 Famous sights as Bab Agnaou gate and the Koutoubia mosque were also built during his reign. The mosque is also known as the Kasbah Mosque and the Mosquée Aux Pommes D'Or (Mosque of the Golden Apples), due to the three gilded globes on the lantern of one its gorgeous minaret. 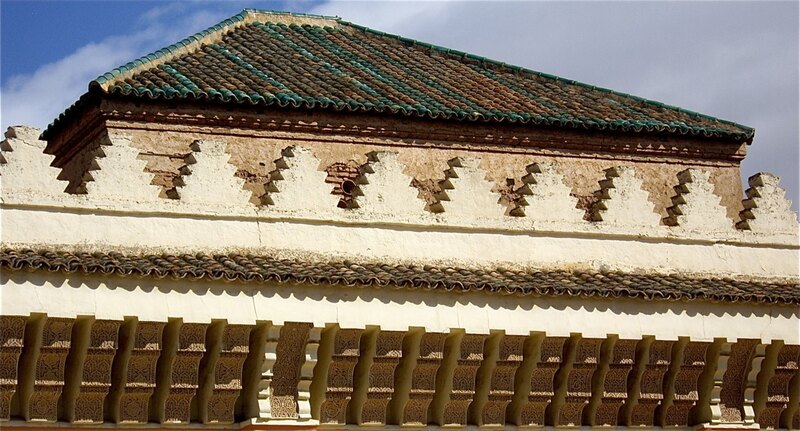 The present mosque was restored in the 16th century and in the 18th century. This is a working mosque, and it's closed to non-Muslims.